Upgraded! 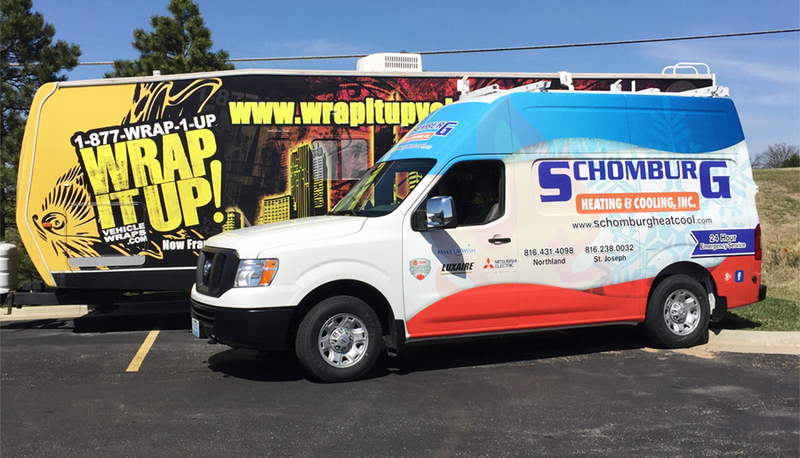 Check out the new look for Schomburg Heating and Cooling. We have done work with Schomburg previously, but this time they wanted an upated look. Working alongside with one of our amazing designers they came up with this astonishing new van wrap. From the northland of Kansas City to St. Joe, Schomburg has been providing fast, reliable, high quality air conditioner and furnace repair for over 20 years. If you are in need of some HVAC assistance make sure you give Schomburg a call. Thanks Schomburg!